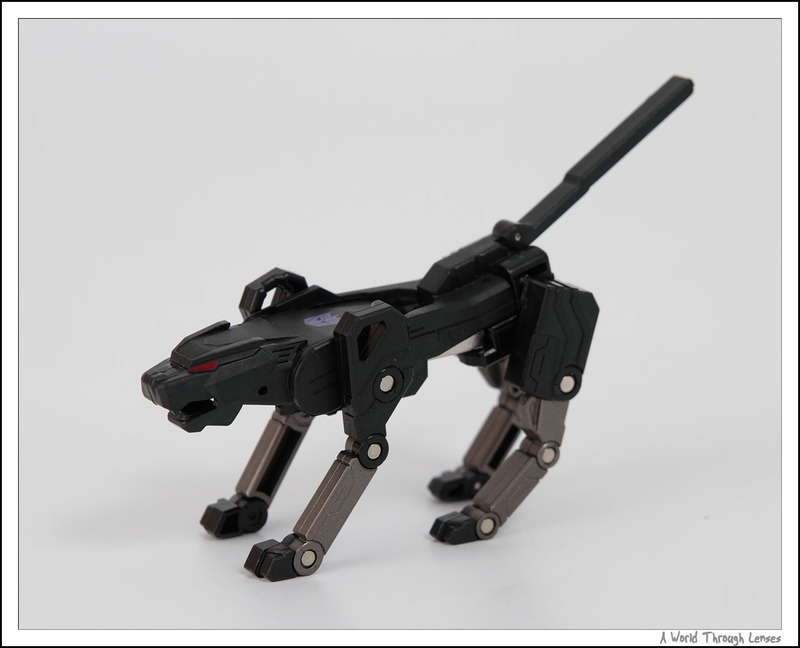 Out of the device label transformer toys from Takara Tomy, this one Device Jaguar or better know in the original Transformers series as Ravage is really cool. 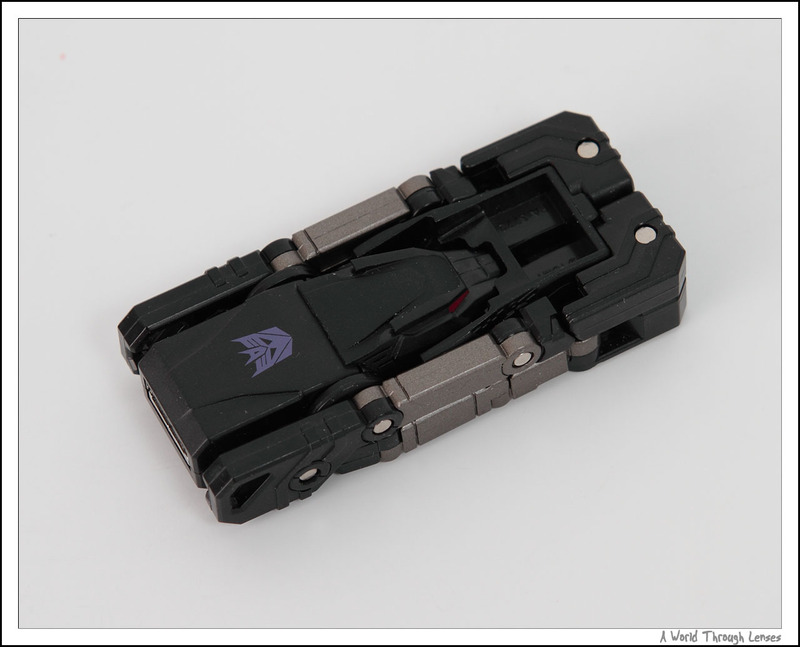 Ravage was originally a transforming micro-cassette that was stored in Soundwave’s deck. 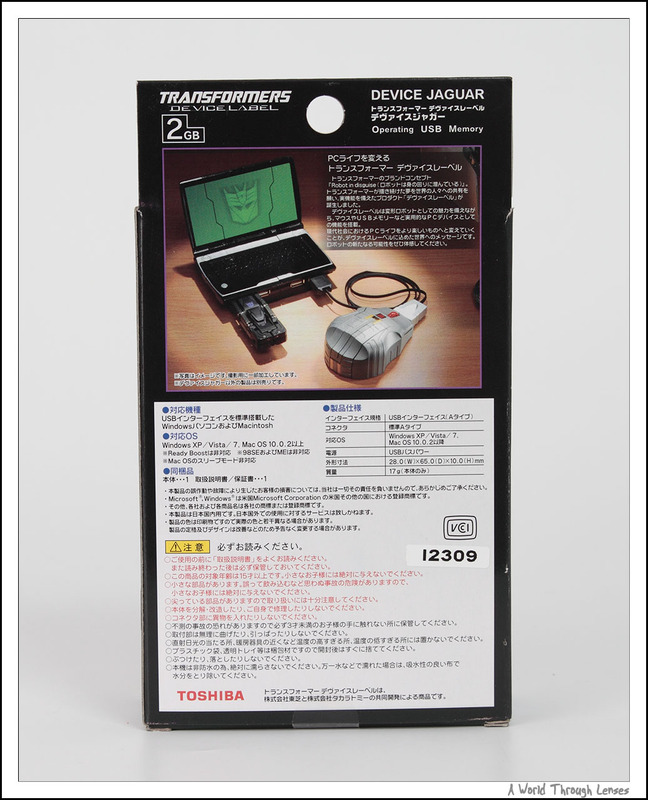 Just like Soundwave, when Takara Tomy released this time, it got a technology upgrade. 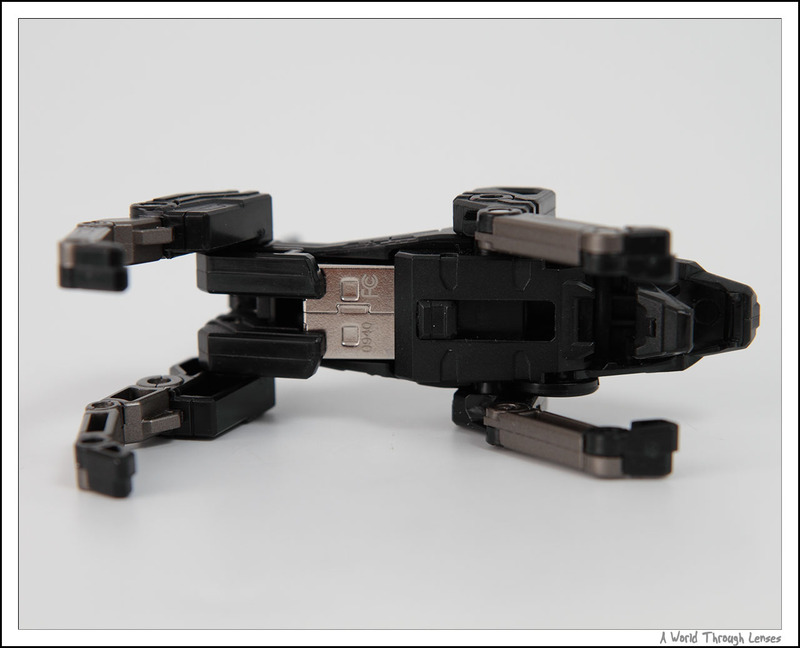 It’s now a functional 2GB USB memory key. The size of the USB key is slightly bigger than you average USB key. But of course the cool part is that despite being a 2GB USB key it does fully transform into robot jaguar. 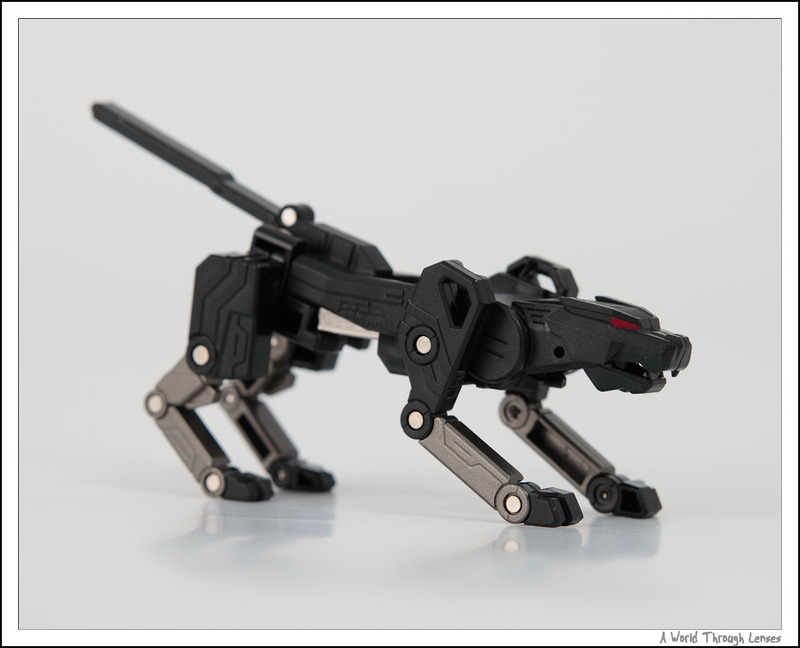 This toy is really functional, I see myself actually using this and having a lot of fun with it. Way better than the Soundwave MP3 Player which is a bad MP3 player with out those cool transforming cassette. Takara Tomy Transformers Device Jaguar 2GB USB Memory (タカラトミー トランスフォーマー デヴァイスジャガー). 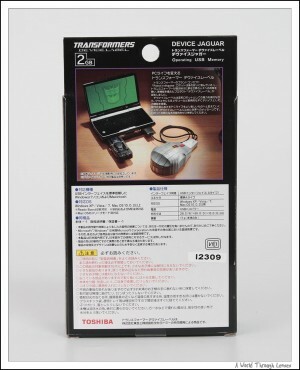 Released on October 2009 with a MSRP of ¥3,990. Took the USB key out of the box. 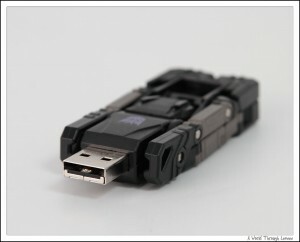 Looks just like a normal USB key with the USB connector. The USB connector can be retracted right into the key. Here it is transformed into the jaguar mode. Here’s where the USB connector is when it is in the jaguar mode. 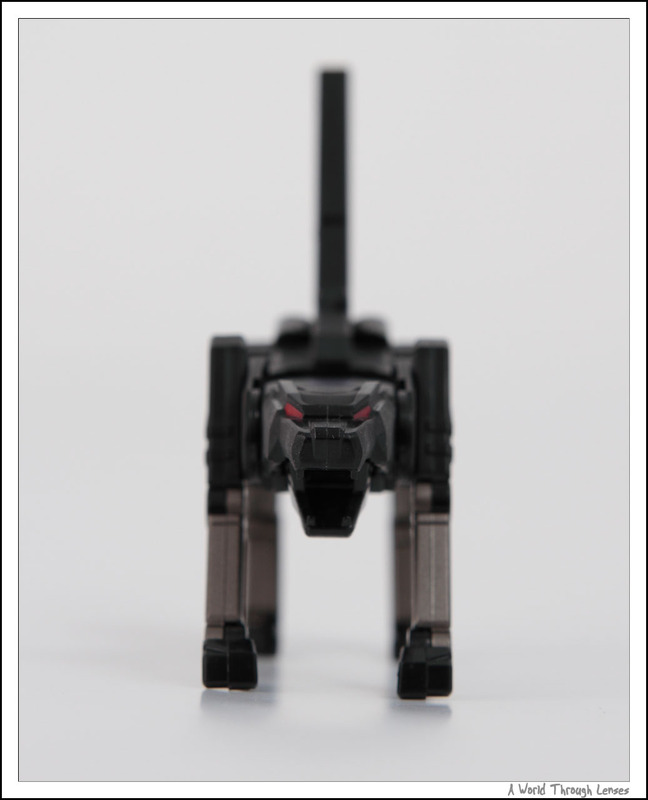 It actually keep the jaguar’s front secured. 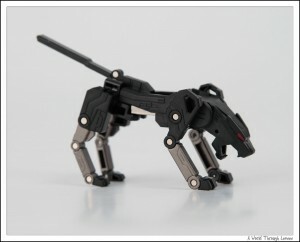 A front view of the robotic jaguar. A few more shot of the jaguar. 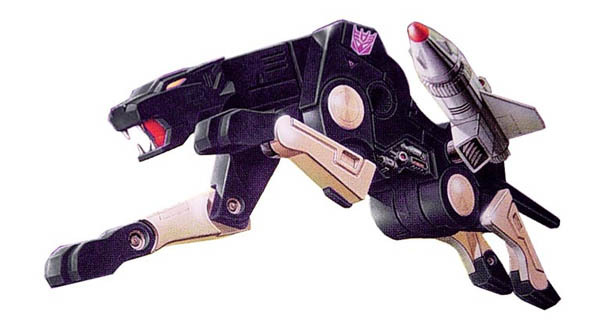 The head can be moved a bit up and down and the mouth can be opened or closed. 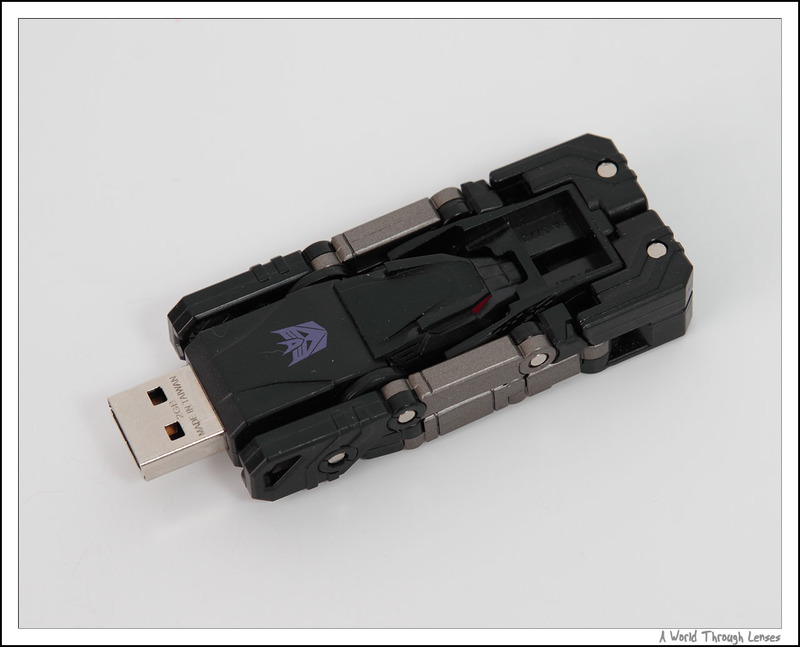 The USB key has a drive icon of Autobots symbol. 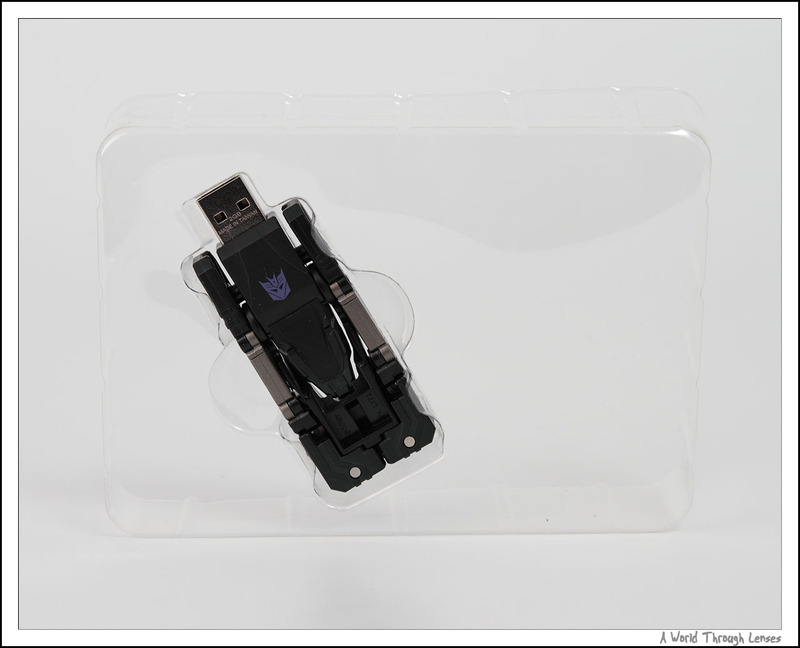 And also comes with a desktop accessory for your computer on the 2GB USB memory. 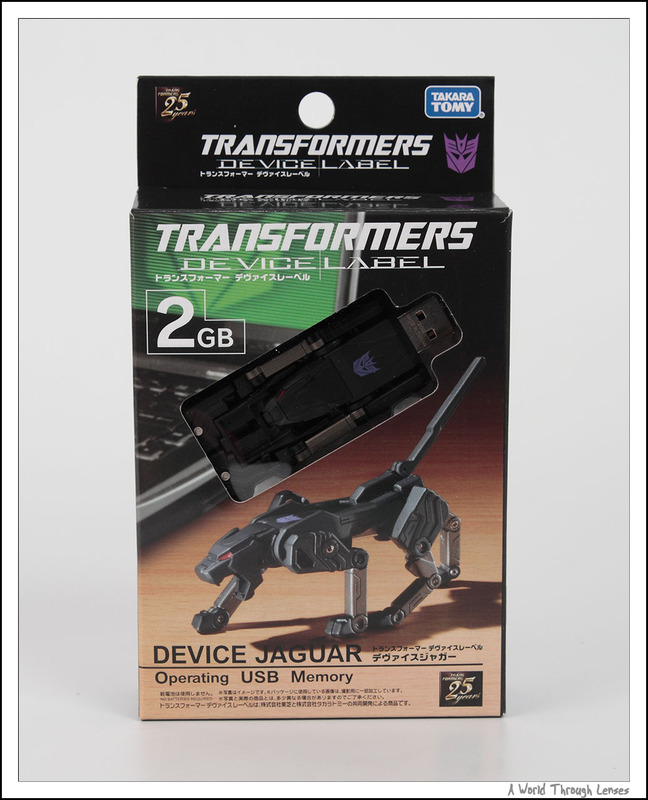 After you installed it, as soon as you plug this USB key into the computer, a device jaguar get onto your desktop. 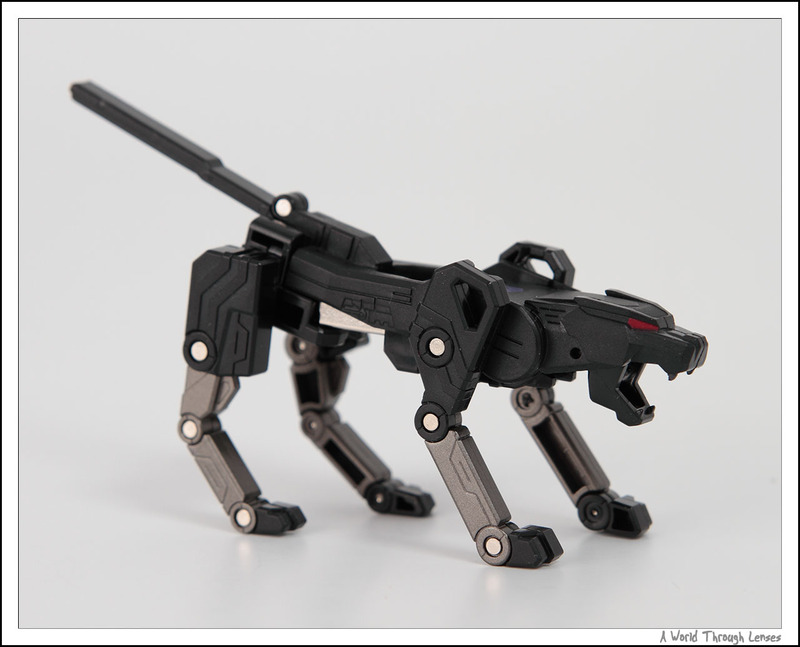 It walks, runs, jumps around on your desktop, transforms between the USB key mode and the jaguar mode, and it eats your desktop icon for lunch. Pretty interesting. This product came out more than 4 years ago. So I don’t see they are being carried in the shops I visit. So your best chance would be auctions.